A comparison between the new EW configuration on board TCG Fatih (left) and the old one. The new electronic warfare suite on board of TCG Fatih has been accepted after rigorous testing according to Aselsan. The heart of the system is the CPU of the EW processing and its interface with the operator. 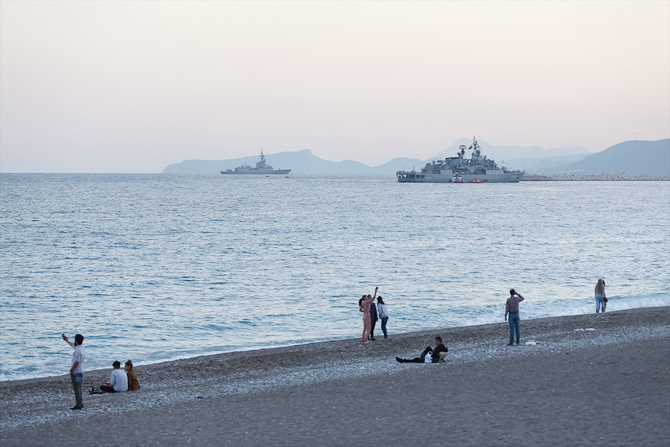 Aselsan has developed and installed similar systems to Ada class corvettes and Bayraktar class landing ships. So they have a good knowledge of development and implementation of EW systems. The most important physical obstacle was the mast on with the ESM antennas were installed. 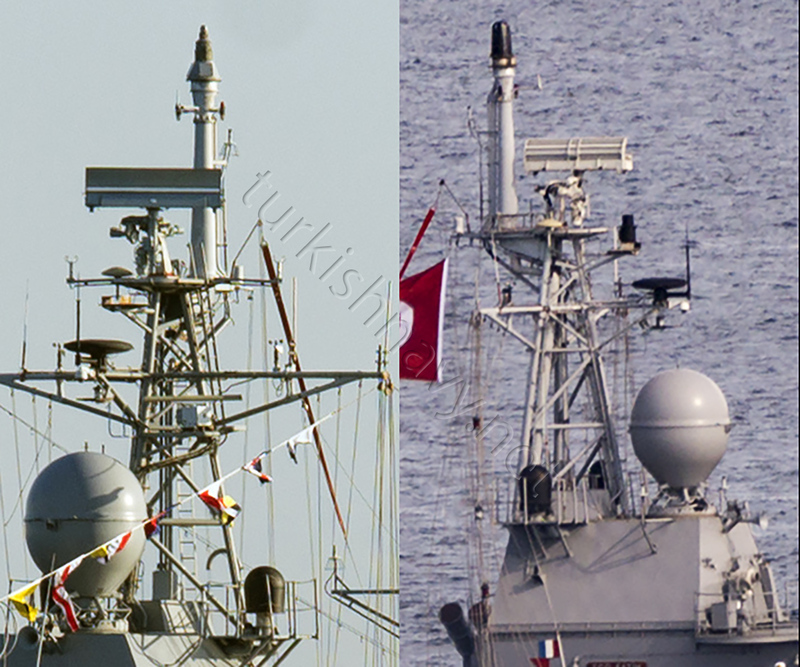 On Ada and Bayraktar class ships, these antennas are integrated into the closed mast. There was no place or top weight problems. On TCG Fatih, however, the antennas had to be put on top of the thin part at the end of the main mast of the ship. Therefore Aselsan used the antenna solution they have developed for Ay class submarines. Since it was compact enough to fit on a pole on a submarine, so it was also good enough to be mounted on the mast. According to Aselsan, tests have been conducted both for ECM / EW suit and for the decoy launching system before the system was accepted by Turkish Navy. It is not clear at the moment if this EW suite will be back fitted to the other Yavuz class frigates or if this EW system is part of the mid-life modernization program of Barbaros class frigates.